HomeNewsHuman RightsWork-life balance: end inequalities for families of people with spina bifida or hydrocephalus! Work-life balance: end inequalities for families of people with spina bifida or hydrocephalus! 29 January 2018 // IF members know better than anyone else just what it takes to juggle the demands of a fast-paced working life with their care responsibilities. Recurrent medical appointments, accompanying the child to school and helping out with catheterisation, overcoming obstacles and prejudice… Once the child grows up, the parents and siblings often continue providing care, especially when barriers are commonplace and state-provided personal assistance – a rarity. The employers are not always accommodating, and family members (usually, mothers!) are forced to reduce their career ambitions, work part-time or quit working altogether. Lowered income, exhaustion and parental guilt become everyday companions of many families who are frustrated at the failure of governments to take effective measures to better support them. 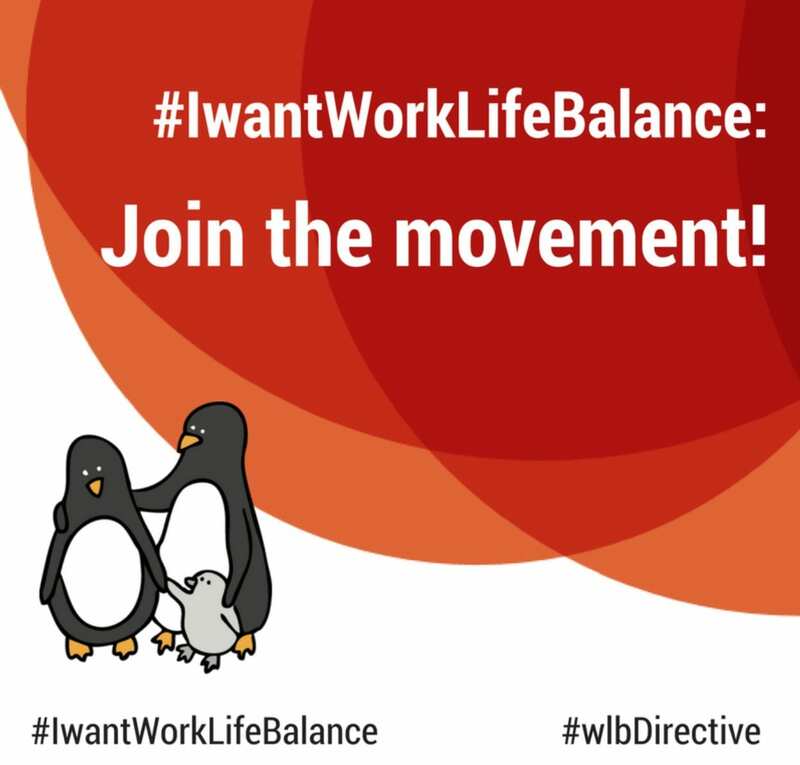 This is the main reason why IF welcomes the European Union initiative to change that: the proposal for a Directive on Work-Life Balance has a real potential to change the situation. Published by the EU last year, the proposal is now in the hands of the EU governments and the European Parliament that are negotiating its fate. What does the proposal for this Directive contain? Obligation to grant all parents (mothers and fathers) paid non-transferable parental leave of 4 months until the child is 12 years old. Encouragement to take more ambitious measures for families with either parents or children with disabilities. There is significant resistance to the proposal for the Directive from some European countries (even those that already have these measures in place nationally!). They are unwilling to invest into paid leave arrangements for parents and carers, forgetting both their obligations under the UN Convention on the Rights of Persons with Disabilities and the long-term social return on investing into families of people with disabilities. What is IF doing to make more support for families of people with SBH a reality? We make suggestions to further strengthen the proposal for the Directive. You can create coalitions with other national associations and lobby together. Parents and carers of people with disabilities should not have to choose between work and family life. Please help us achieve strong protection for YOUR rights at the European level!